Yours adsense account banned? Try the alternative methods. Adsense is one the product of Google. Adsense is free and simple way to earn money by placing ads on your website. 1. Adsense takes too much off time for approval. 2. Getting approval by adsense is very hard. 3. They can banned you at anytime if you not maintain their policies and procedures. 4. Minimum 10$ for address verification. 5. Minimum payout 100$ it’s real fcuk. Many bloggers and newbie is suffering from adsense approval. They have tried many times and they have failed for getting approval because adsense really maintain to much of rules and regulations. Adsense is good but not for us because it’s take too much of time for approval and they can banned at any time. 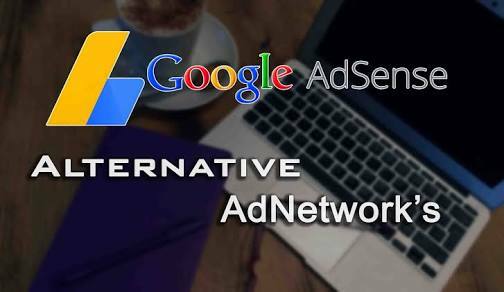 Don’t worry we have best 5 alternative google adsense. Now the question is what are the best 5 alternative of google adsense? 1. Infolinks : Infolinks is an online advertising platform for publishers, advertisers and brands. Infolinks works with other ad networks including Google AdSense. 2. Chitika :Chitika is an online ad network that leverages targeting and optimization technology to deliver ads. They deliver ad solutions to make your websites and campaigns more valuable. 3. Bidvertiser : Bidvertiser is a online advertising directly on sites of your choice, internet marketing solution for online. Bidvertiser is also famous and oldest best pay per click site and even perform well at some kind of blogs. 4: Revenue hits: Revenue Hits help publishers to generate more revenues with state of the art Contextual & Geo targeted Ad Serving technology. Revenue Hits provides self services for publishers, where any webmaster can come and get tags and start making money. 5: Propeller Ads: Propeller Ads offers monetization opportunities to website owners and advertising agencies while providing advertisers. They provide detailed optimization for each site individually so that you can select best performing ad campaign. Its basically shown as CPM based ad network. NOTE: HOW TO RESUBMIT ADSENSE APPLICATION?